You may recognise Pirate Studios if you follow Plastician or Sian Anderson on social media. 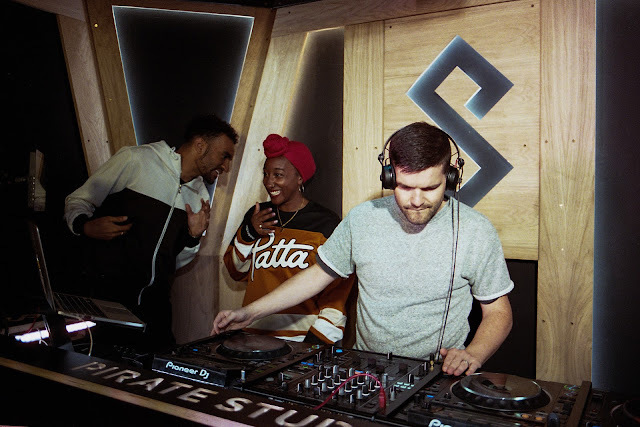 The Croydon native DJ put on a show when his local studio opened recently, whilst Sian has been at the new studio in Earlsfield all week for the 'Nexxt Step - Women in Music' programme. Pirate Studios aren't a new company. They provide 280 studios across 18 locations throughout the UK, New York and Berlin. Over the next month Sgt. Pokes, Sian Anderson​ and T. Williams​ will each begin weekly residencies in the newly launched Pro DJ Studio (which is available for £10 per hour) in Earlsfield with guests joining them on their live streaming shows. Eats Everything​, Shadow Child, Henry Wu, Roska​, Nightwave​, Hatcha​ and grime's very own DJ Spooky are names already confirmed. Tonight (16th October), Hatcha and DJ Spooky will be joining Sgt. Pokes on Roulette Radio with T Williams following up on Thursday and Saint Music on Monday. These are the three days a week that live streaming will be distributed worldwide via the artists own Facebook pages. Below are the names and dates of who's to come, you can check out Pirate Studios on YouTube (here) whilst also following them on Facebook (here) and Twitter (here) too.